Do businesses really need outsourced IT companies or IT support companies to grow their business? While an in-house IT helpdesk or support department could be more familiar with the daily happenings of your company, great IT support companies can close the gap fast. Besides, an in-house IT person, helpdesk or support team will cost a pretty penny – setting one up – maintaining it – and create additional employer overhead expenses. That’s precisely why so many organizations are turning to outsourced IT companies. Here are some of the reasons why many businesses now have outsourced IT support. The number one reason why more companies are turning to Managed IT Services for technical support is that they gain access to a pool of top talent at an affordable value. When you choose to hire an in-house IT person or build a team, it’s difficult (if not impossible) to foresee what kind of talent you might need in the near future. Additionally, there costs involved to expand the skill sets of your employees. You’ll need to make sure these employees receive continued education, and you’ll also need to purchase, upgrade, and maintain a variety of hardware and software. All of these factors are no longer the responsibility of the business when using 3rd party to support your business’s technology. In addition, adding more employees creates additional overhead expense on the business as a whole increasing employer taxes, health care costs, employee benefits, and risk. On the other hand, a Business IT support company removes all of the additional overhead expense listed above with their services and typically cost a fraction of bringing it all in-house. As mentioned, you will have access to an entire team of IT Professionals. 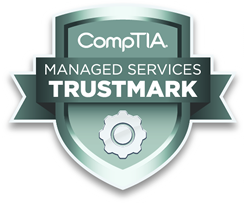 IT companies also known as Managed Service Providers (MSPs) have an incentive to maintain certified technicians and encourage their engineers to continually gain more certifications to be competitive. This means you’ll save money and gain access to an entire team of skilled, certified IT professionals. Here is our latest blog on 5 reasons you don’t need an in-house IT support person. Unless your company specializes in Information Technology (IT), there’s a very good chance that mistakes will happen – especially at first – that could create risk for your company’s information and operations. What’s more, the number of ransomware attacks is on the rise across the globe, and these can certainly leave your company vulnerable. Many businesses still think that ransomware or being a target of hacking will not happen to them for a number of reasons. I can assure you that assumption is just wrong. Cyber Security is a threat to all businesses. With over 800 average complaints a day the annual cost to victims in 2016 was $1.33 Billion. Discover why hackers are really interested in your business. In addition, there have been recent USA government changes to DFARS requiring government contracts to secure their business technology before 2018. When you hire a qualified Managed IT Service Provider for Business IT support, you’ll get access to experts who understand the techniques used by hackers. See our latest scam of the week blog here. Managed IT Service providers that have developed a cybersecurity practice will discuss with you the best ways to protect your business and make your business less attractive to the bad guys. This means you’ll be far more protected from the start. 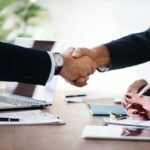 Also, if a security breach should occur, these professionals’ experience will allow them to resolve those issues with minimum impact to your business and in a timely manner. Running a company is hard work. 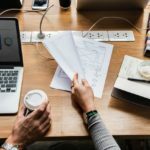 You need to focus on your customers, the products, and services you offer – not the functionality of your computers, servers, or the security of your network. When you outsource your Business IT support, you and your employees will have more time to focus on the overall customer experience, which will ultimately influence your success. The more productive your employees, the more revenue you can generate. Of course, the peace of mind that comes with having experienced professionals handling your business IT support needs is also a boost to your confidence and productivity. A good Managed IT Services company should be meeting with you monthly and quarterly to stay aligned with your business’s needs and goals. These meetings also provide both the business owner and IT company an opportunity to provide and receive valuable feedback on the services being provided. Are you asking yourself this question? How do I pick an IT support company to support my business? Disaster can strike at any time and in several ways. For example, your server room could flood, your building could catch fire, or a cyber-attack could take you offline and even destroy your data. Impacts to your business such as these have a tremendous impact on your revenue or whether or not you stay in business. Fortunately, there are many technologies available that will allow you to get back on your feet quickly and not lose revenue. Great Managed IT Service Companies stay up-to-date with these technologies and will make recommendations to safeguard your corporate data. You can rest assured that your data is in good hands, even following a disaster. Companies of all types and sizes can benefit from engaging with a Managed Service Provider (MSP) in a variety of ways. It saves you money, it provides you with 24-hour access to some of the brightest and most knowledgeable professionals in the industry, and it even frees up more of your time to focus on your customers, which helps to ensure your success. If you would like to learn more about our FREE no-obligation network & security health check, Click Here to schedule your technology health check. An experienced business consultant will reach out to learn more about your business. I like your point that in-house IT teams will require continued education, and a lot of hardware and software which takes up a lot of resources. I also think it’s important to remember that they will also take up office space. If your office is small as is, having to accommodate another team could be a problem. I appreciate the information on having a company IT team versus outsourcing the IT department. Like you said, because of the software required and the different costs it is much better to outsource. Even though outsourcing seems like it could be a bad idea, it will save you money almost immediately. It will also ensure that everything is done correctly in that department with no mistakes. I like that you point out that one of the benefits of outsourcing is that it allows you to focus more on your customers. I can see why this would be important if you are trying to build your client base. You might also consider how frequently you need IT assistance. If you find that you only need them once or twice a month, then this might be something to consider looking into. Thanks for coming up with a great article. Now I guess, companies will realize the needs of IT Support for them. I like that you talk about how you will have a much more effective workforce with the help of outsourced IT support. 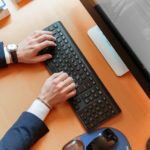 It makes sense that focusing on your work rather than whether the computers are functioning can help ensure maximum productivity. This is definitely something to remember because with the ever advancing technologies on the market, allowing professionals to handle them rather than keeping up on your own could be very good. Thanks for the post! Thanks for this info. My brother just opened his own tech company. He’s now looking up IT support services to assist him. I really think that companies need outsourced IT support as this really benefited for IT company. By doing this generally the clients can be able to access the new technologies. Many times server problem occur but by doing outsourcing your IT infrastructure this problem can be easily resolved. Truly the way you mentioned that how the software companies need outsourced IT support is really impressive. By doing this you can easily monitor your business. Another important point is there is also the facility of having a backup and recovery methods. In your article, you very well brought the struggle between an in-house IT company and outsourcing. I liked the part where you brought in the notion; the in-house IT teams will require continued education and a lot of hardware and software which takes up a lot of resources. Additionally, the In-house team will occupy space, and you can save up on giant rent if you outsource the work. 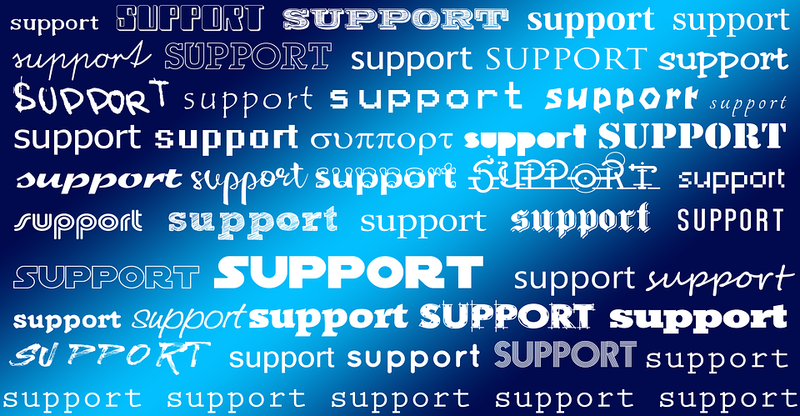 You make a good point that having good IT support will help you boost your company’s productivity and confidence. This would be really good if your company uses computers and any other sort of online resource. You’d just need to find the right IT service for your company.